CARFAX 1-Owner, GREAT MILES 40,696! JUST REPRICED FROM $55,995, FUEL EFFICIENT 28 MPG Hwy/22 MPG City!, PRICED TO MOVE $3,800 below NADA Retail! NAV, Sunroof, Heated Leather Seats, Alloy Wheels, Panoramic Roof, 4x4. CLICK NOW! Leather Seats, Navigation, Panoramic Roof. MP3 Player, Sunroof, 4x4, Onboard Communications System, Aluminum Wheels, Privacy Glass, Keyless Entry. Edmunds.com's review says "Equally at home on the highway or a muddy mountain road, the Range Rover puts you in complete control of any environment. Along the way, it coddles you in a cabin that is trimmed in the finest materials and fitted with the latest technology.". Reduced from $55,995. 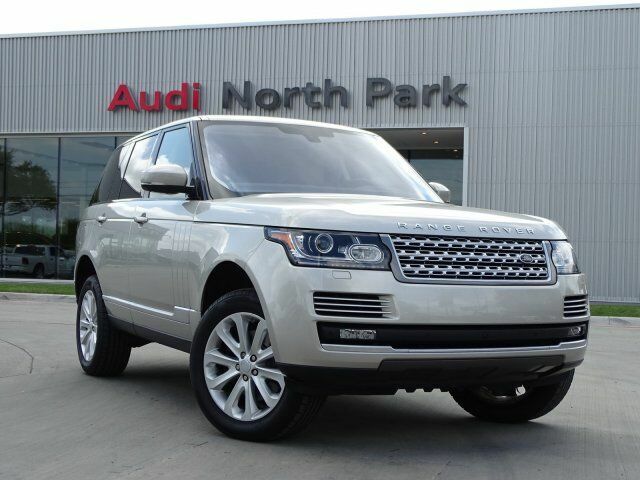 This Range Rover is priced $3,800 below NADA Retail.